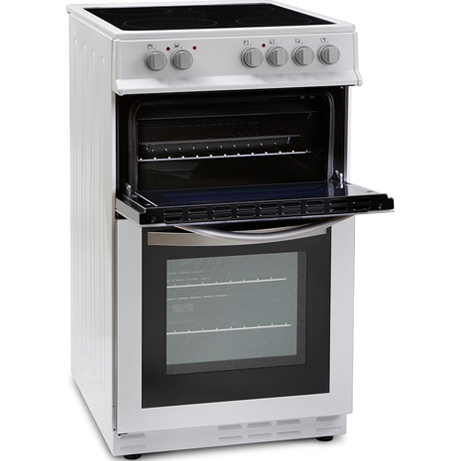 This Montpellier Cooker With Double Oven is perfect for the larger meals. Full outer glass door with large inner glass and separate grill compartment and complete with grill pan, wire grid and handle, grill your favourite food comes with ease. Main fan oven with side opening door and an A rating Energy efficiency score. 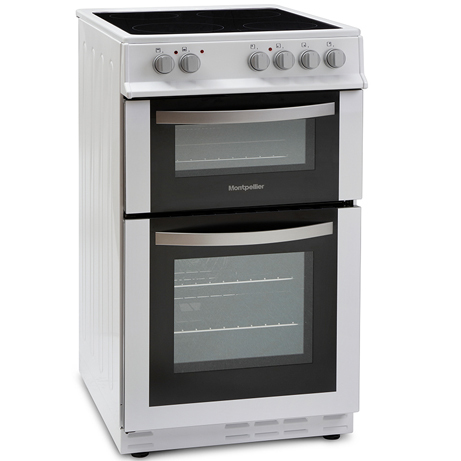 This Montpellier double oven is 50 cm wide and features an integrated grill in the top cavity. There are multiple rotary controls that ensure you get the correct temperature and cooking style for you.